Yiwu Disha Knitting Co., Ltd established in 2000, Yiwu Disha Scarf Factory covers an area of 18000 square meters and has over 100 employees. Yiwu Disha Knitting Co., Ltd is a manufacturer who specializes in producing all kinds of knitted fabrics, shawls and warp-knitted scarves. With the management principle of “advancing with times, pioneering and innovative”, they aim to make their trademark “Dishabeier” as world famous brand. Yiwu Disha Knitting Co., Ltd after 9 years’ rapid development has become a competitive brand. At the end of 2006, they cooperated with Taijin Cooperation from Korea, which is known as “scarf capital”, and introduced world-class professional warp-knitting scarf production machines. Yiwu Disha Knitting Co., Ltd has become one of the top-class manufacturers of warp-knitting scarves in China. Yiwu Disha Knitting Co., Ltd has several experienced and professional scarf designers. They can design unique styles. Some of them have been awarded national patent. With good quality and on-time delivery, Yiwu Disha Knitting Co., Ltd won title of “Credit Unit” in Yiwu City, Zhejiang Province in 2007. Yiwu Disha Knitting Co., Ltd has a quality production management team engaged in scarf production. These years, we have cooperated closely with HM, Wal-Mart and KOHL’S. 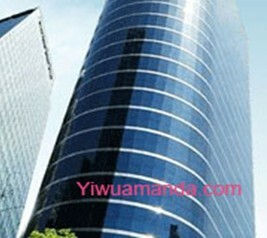 In 2009, they are going to cooperate with Chinese famous brand – Langsha. In order to keep high quality, they carry out a strict management system from materials, production, dyeing, to after-disposal. Now their annual capacity has reached more than 30 million sets. And welcome partners from home and abroad to create a bright future with us.